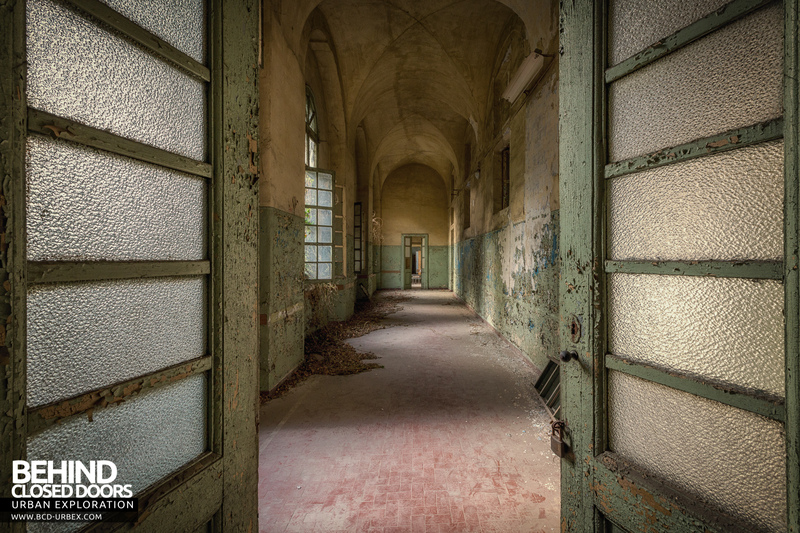 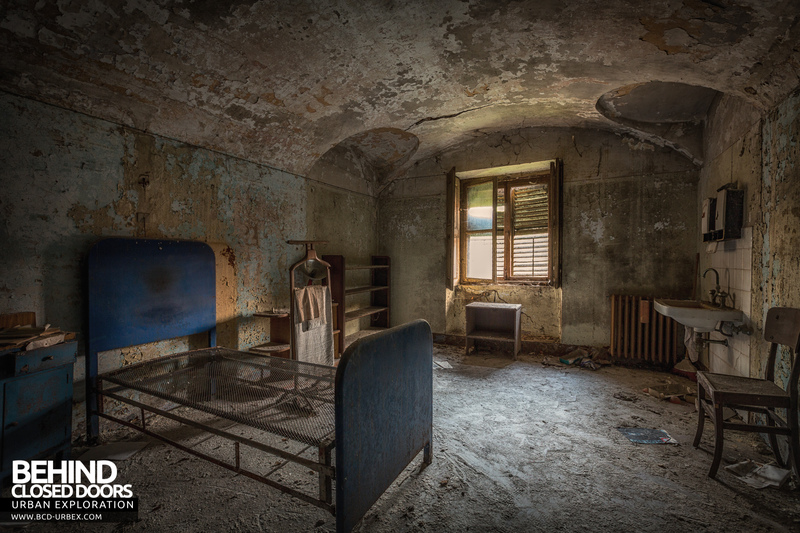 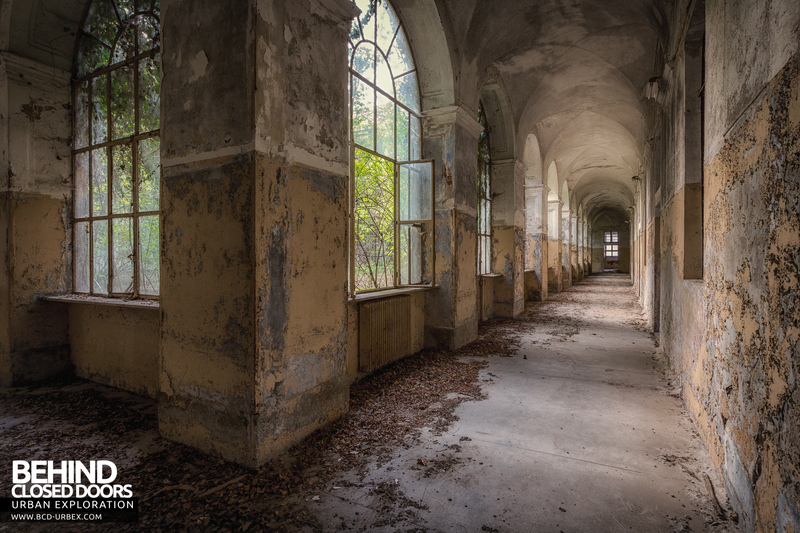 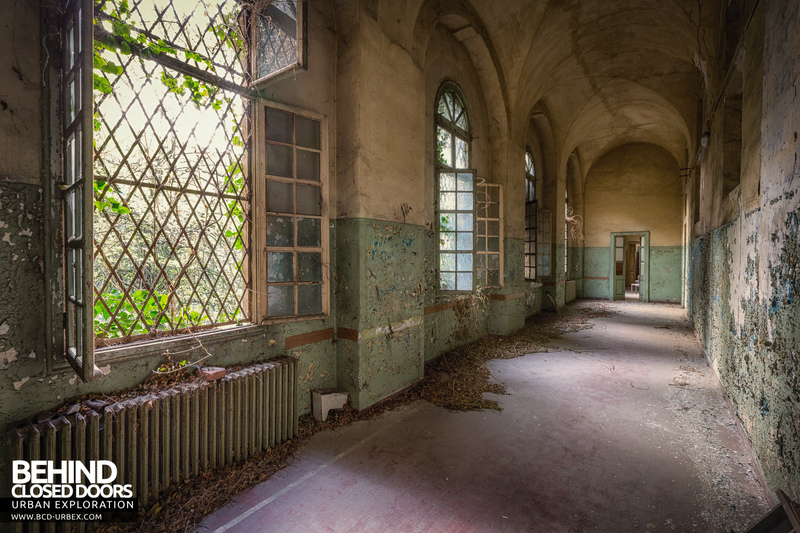 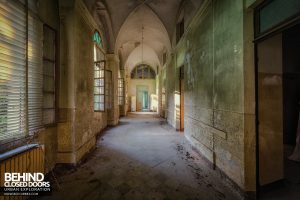 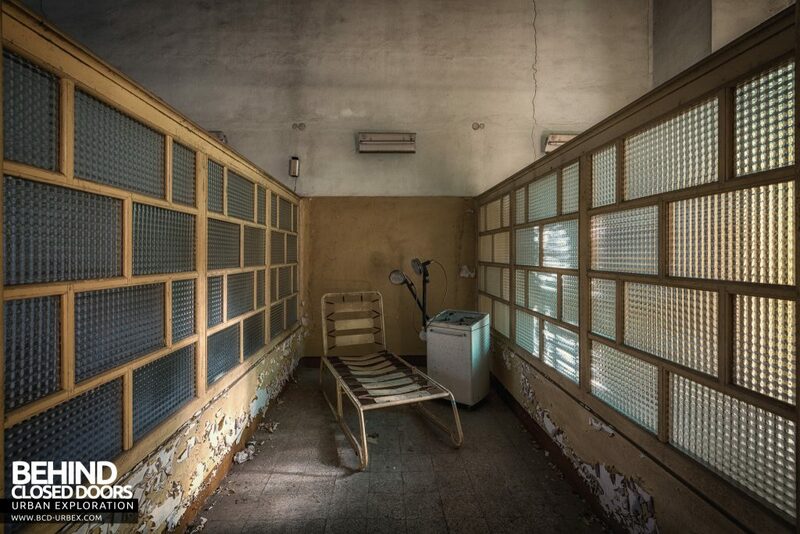 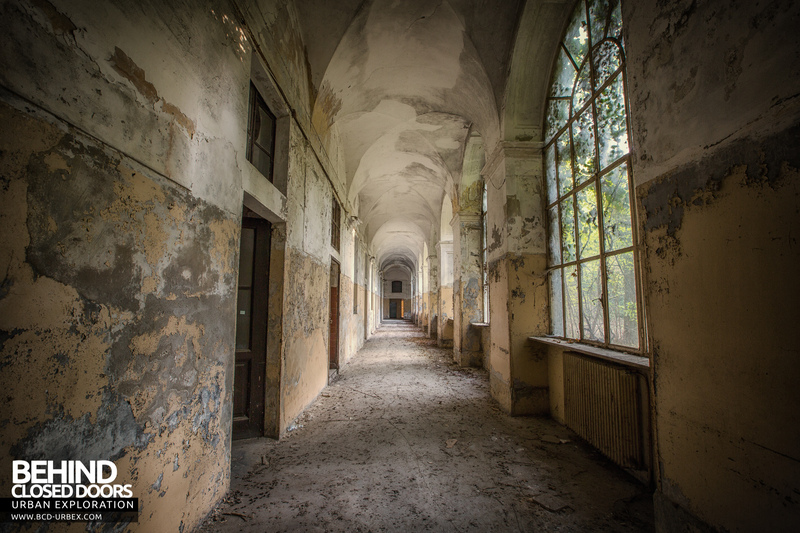 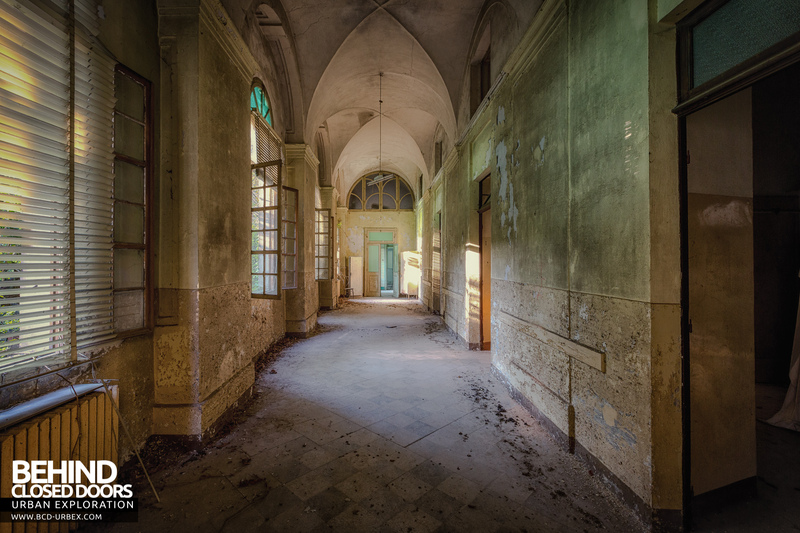 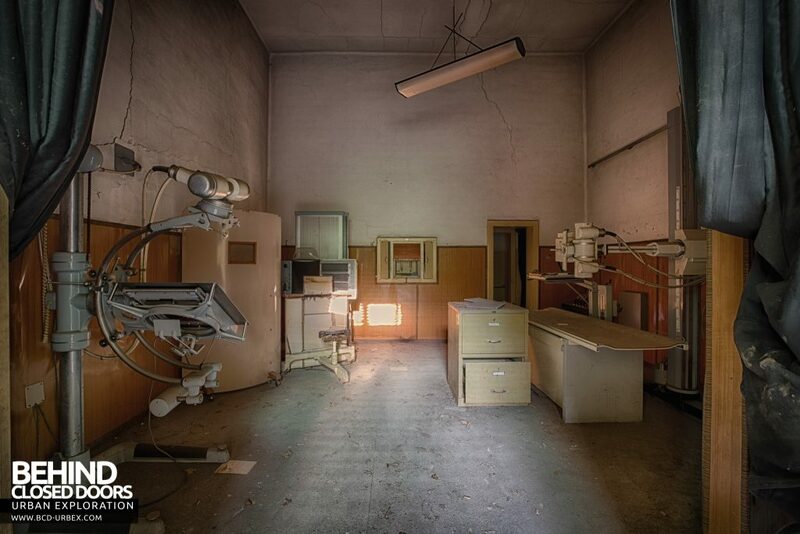 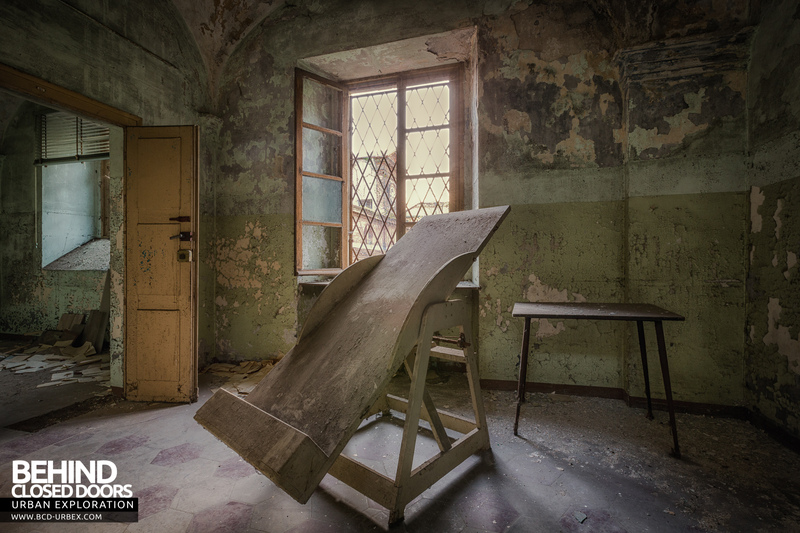 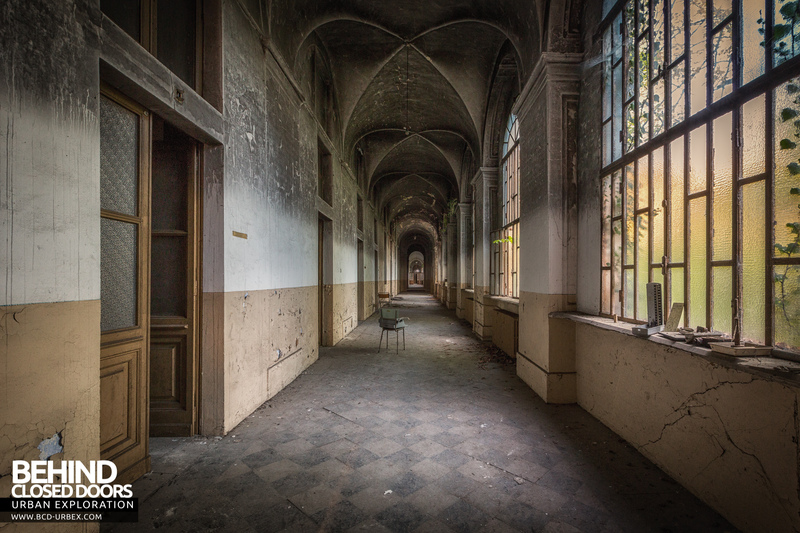 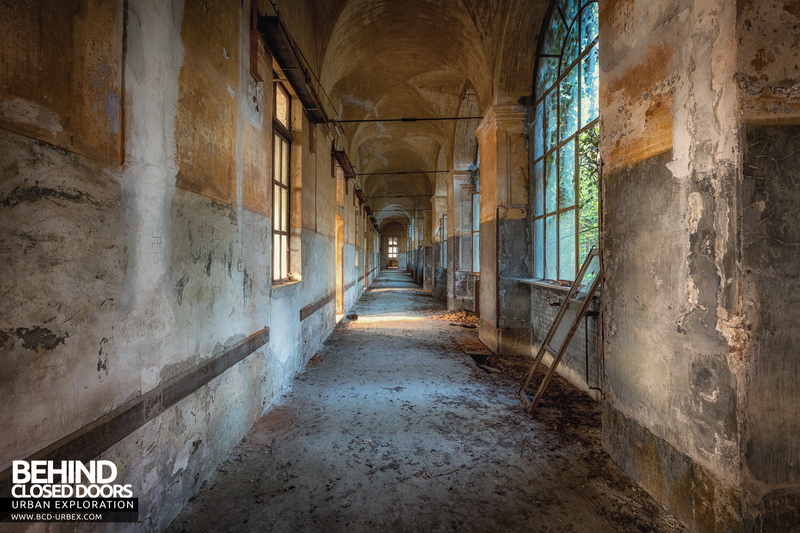 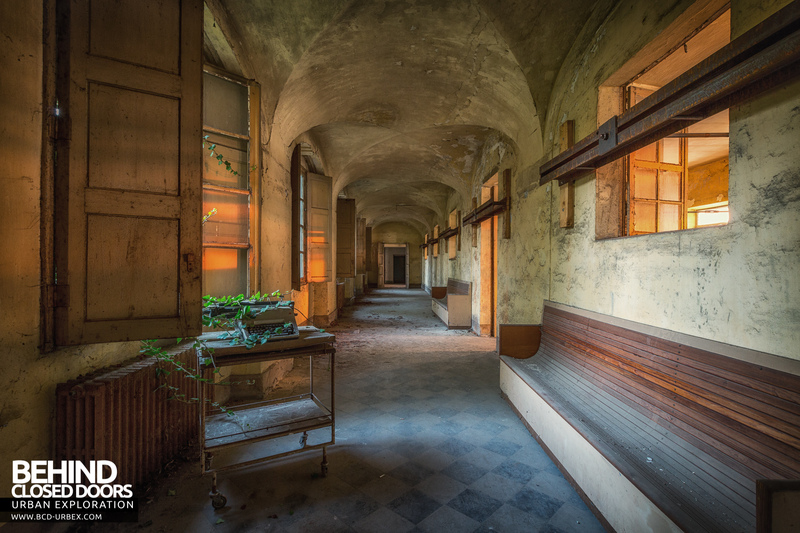 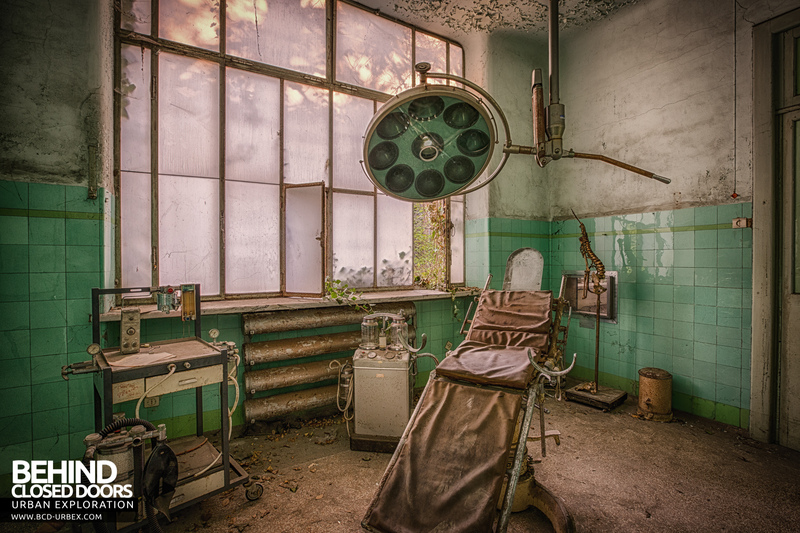 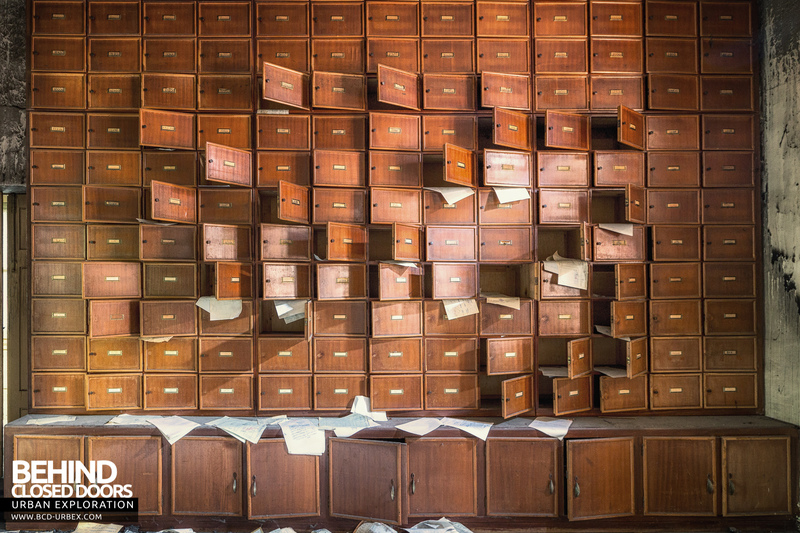 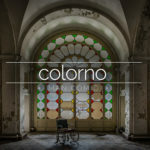 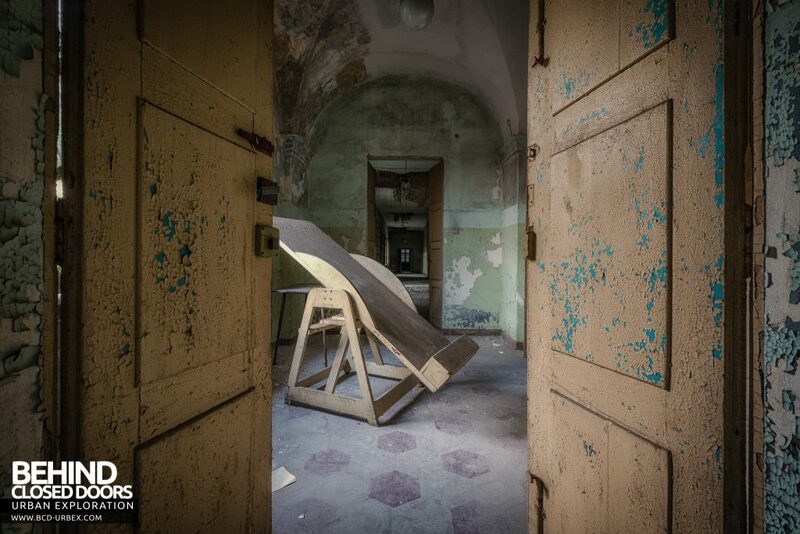 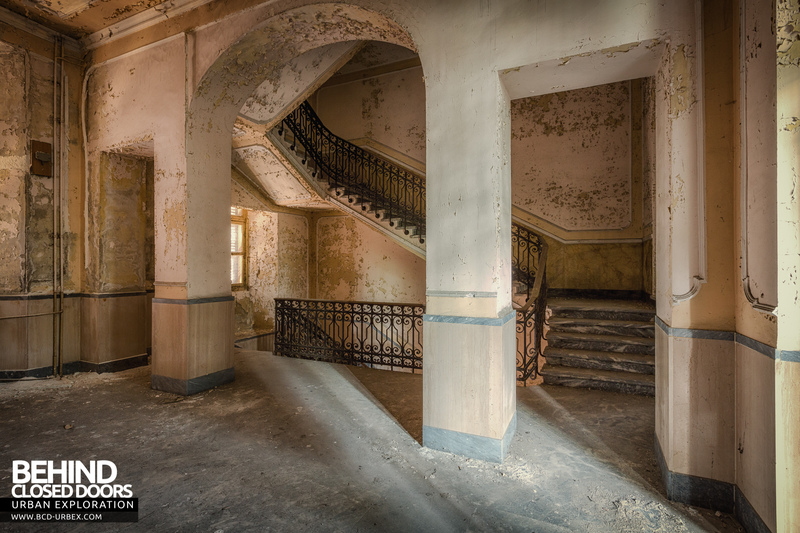 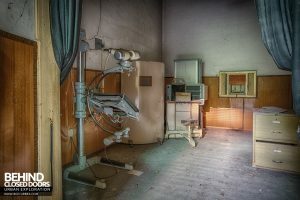 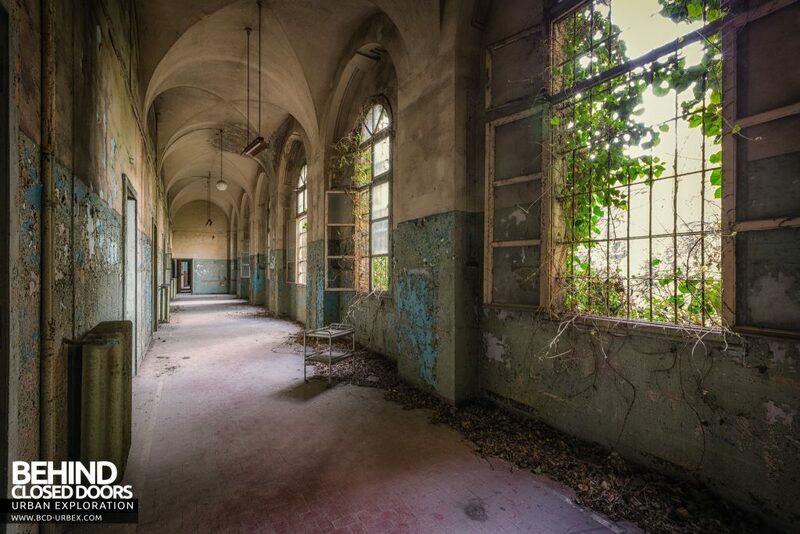 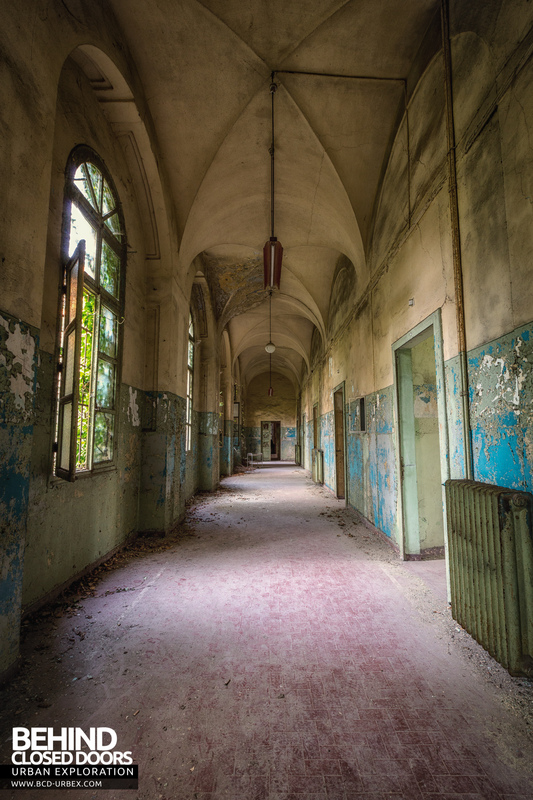 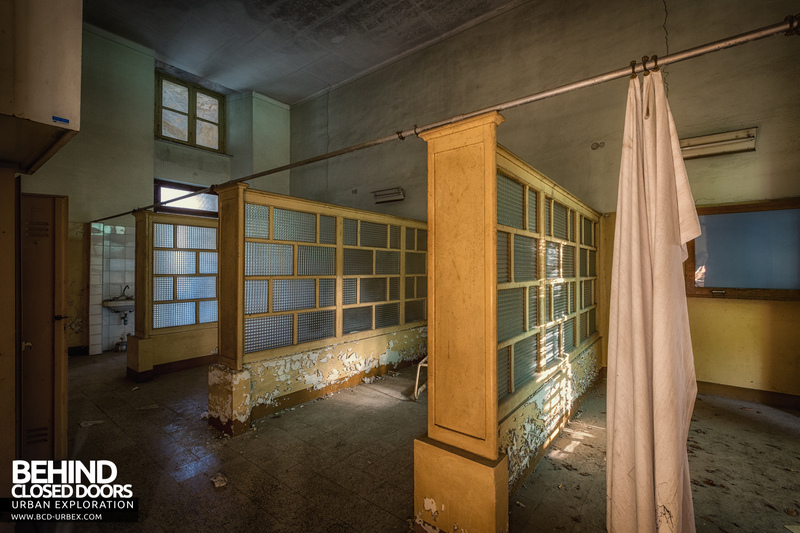 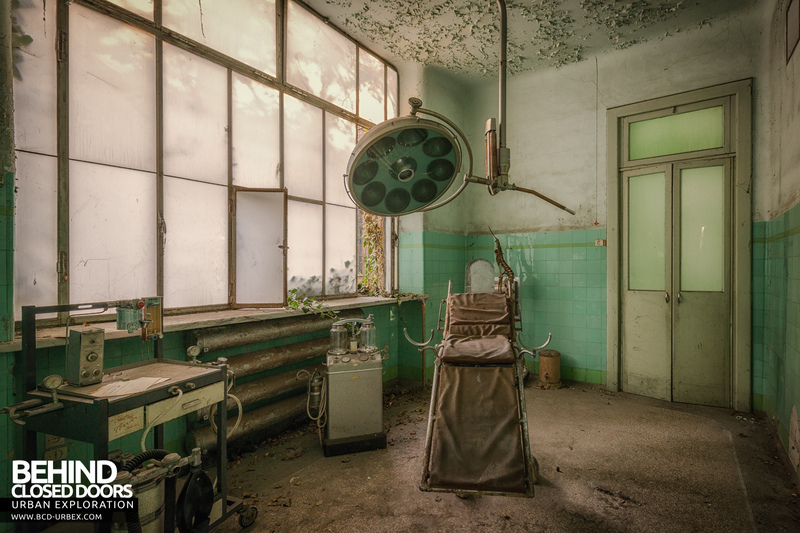 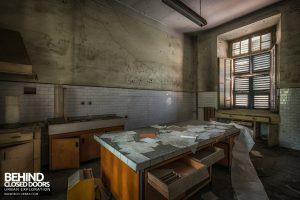 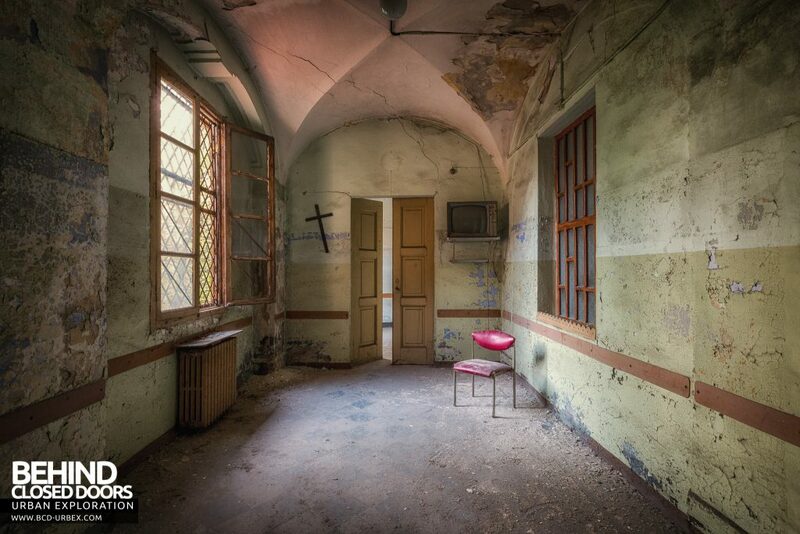 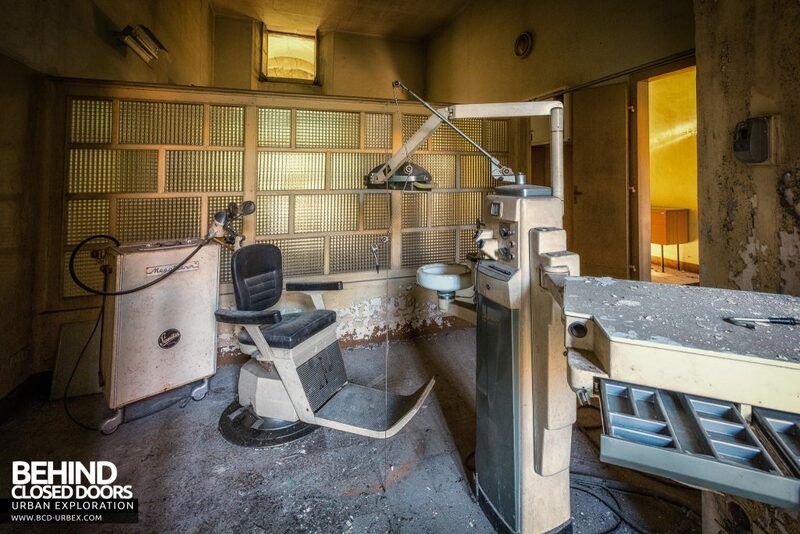 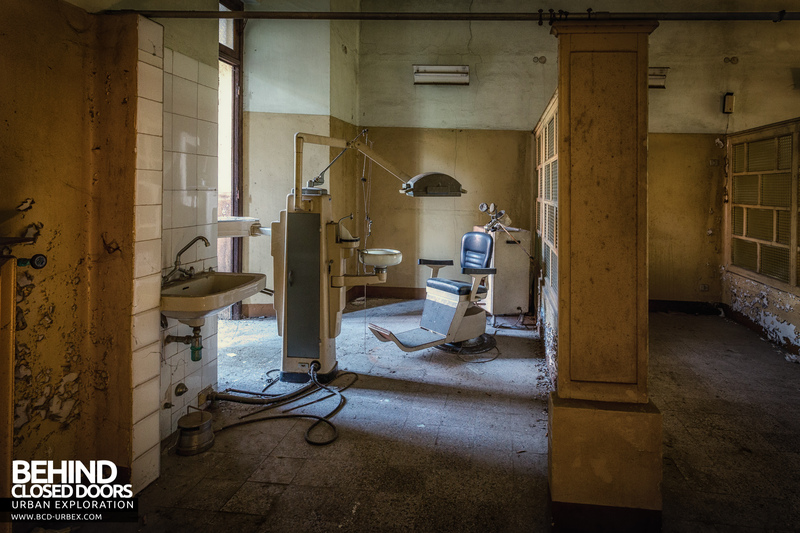 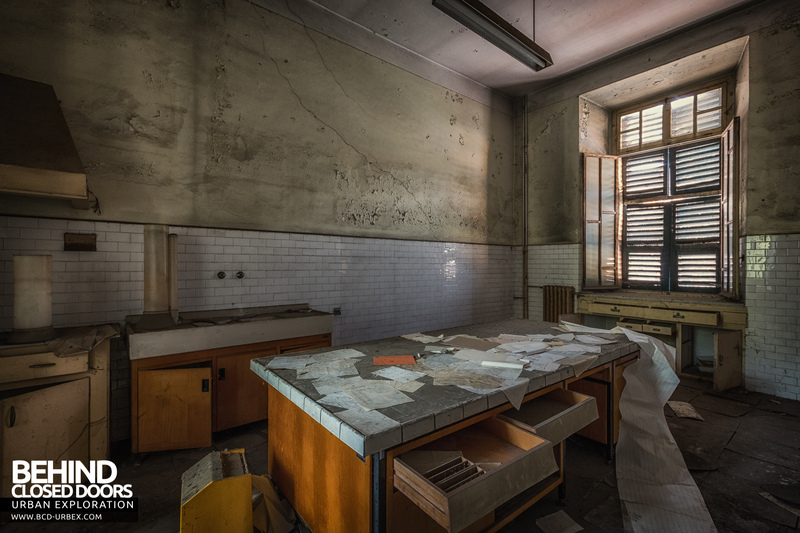 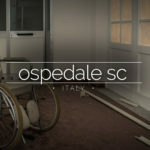 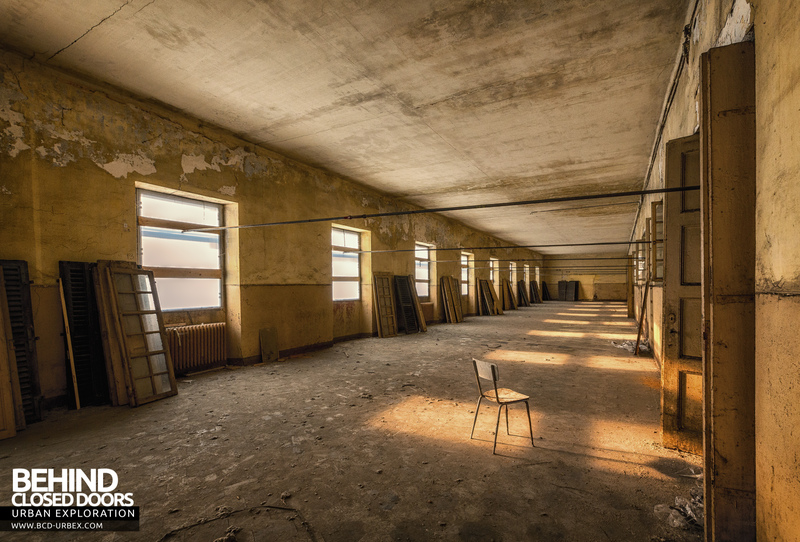 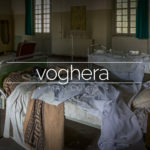 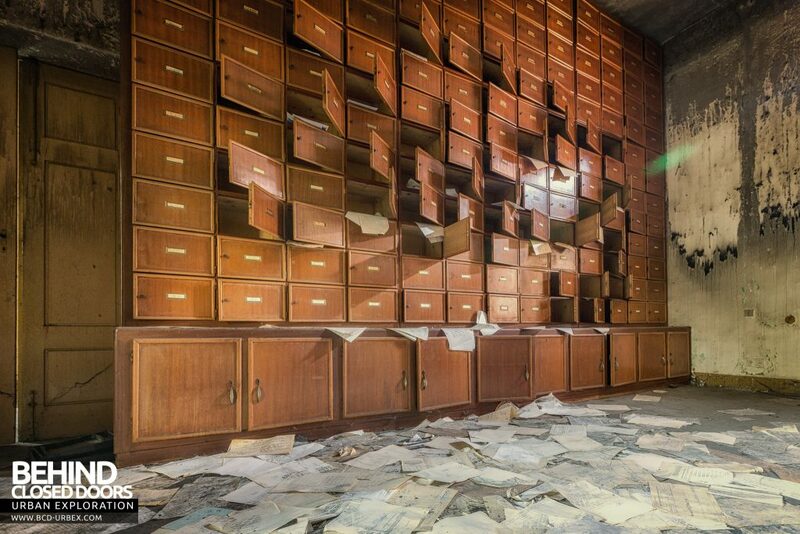 An abandoned asylum in Italy with huge bright corridors and lots of natural decay. 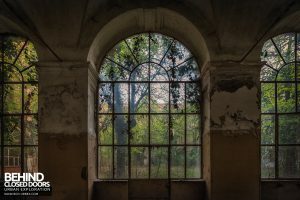 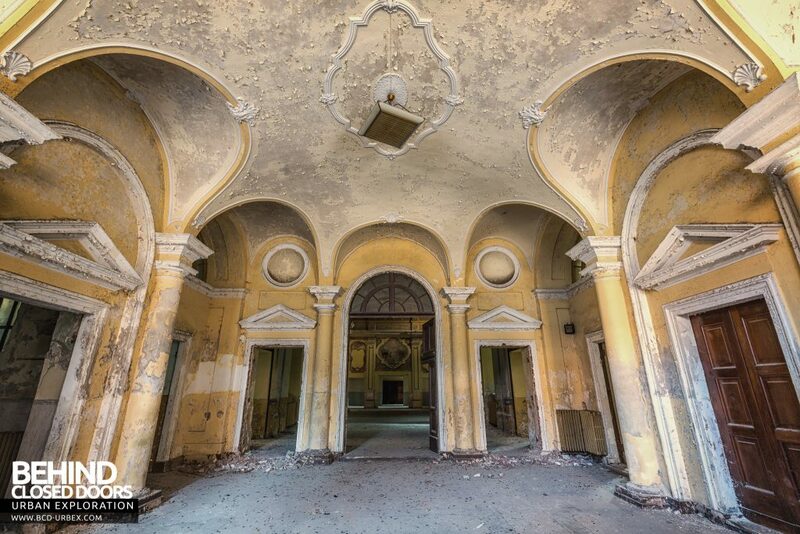 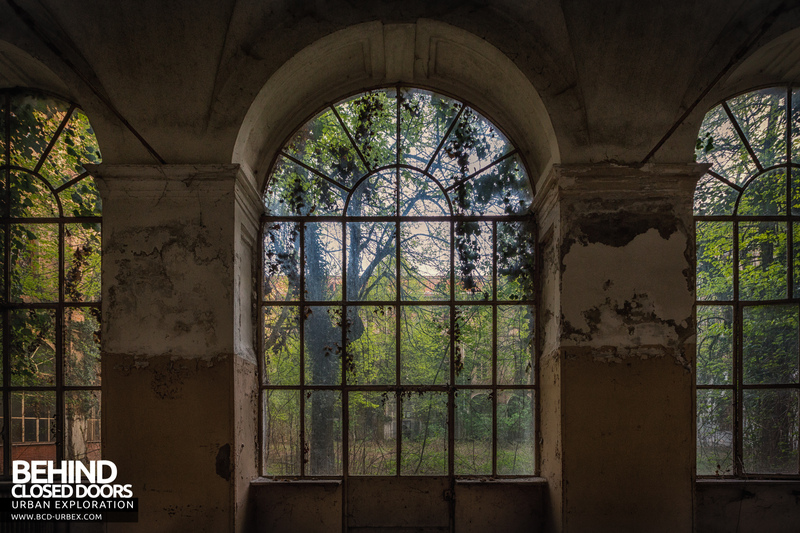 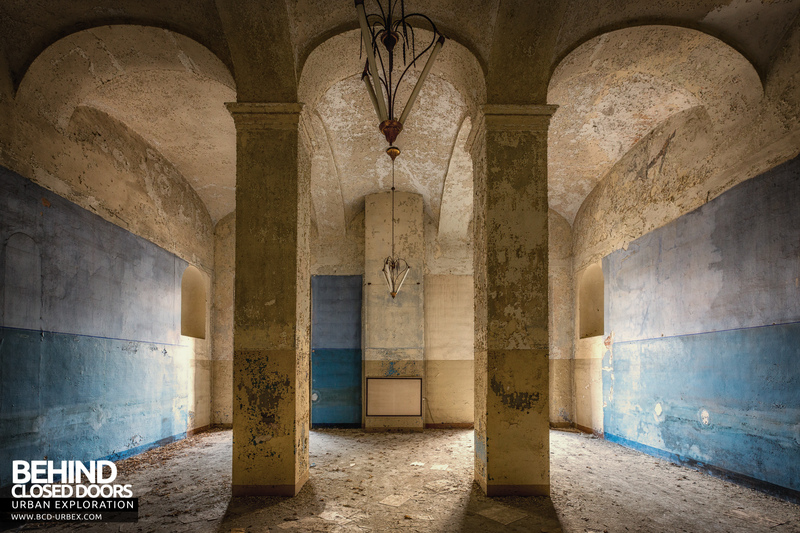 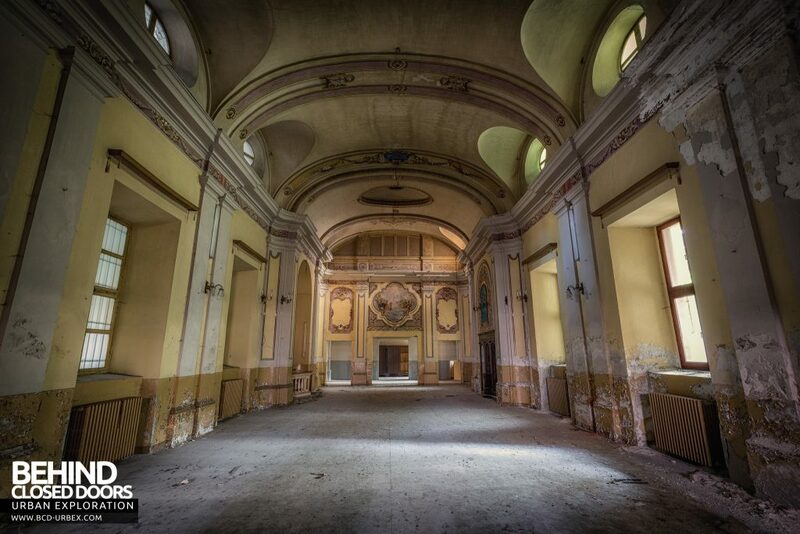 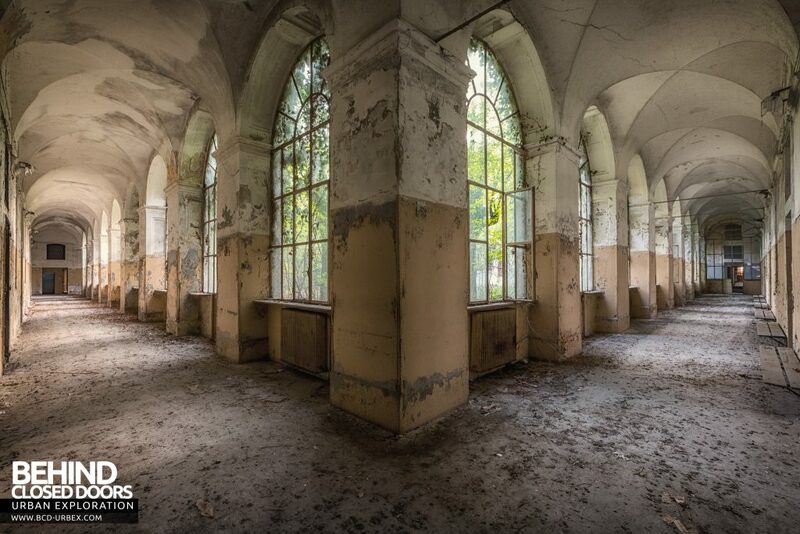 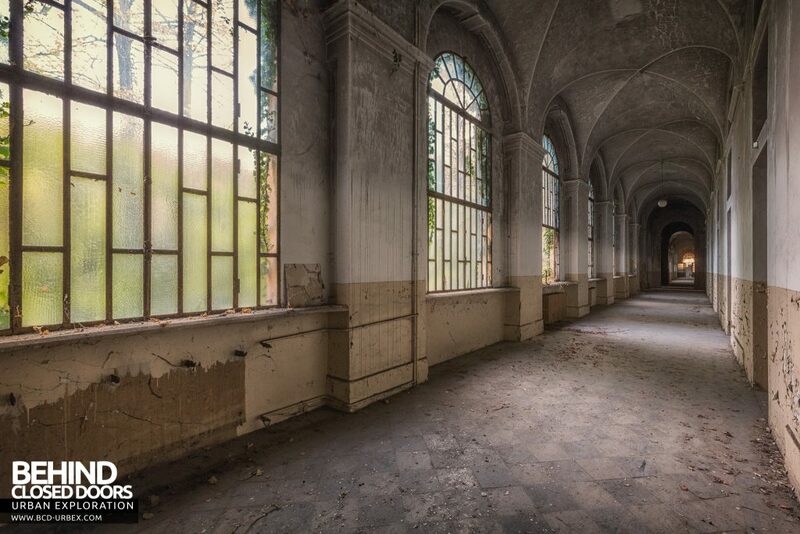 Manicomio di Racconigi is an abandoned asylum in Italy. 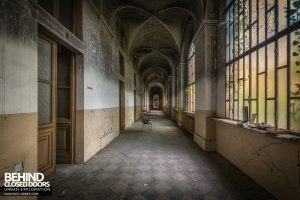 Built in 1871 the hospital was a transformation of other buildings that were originally a hospital of charitable institutions, and later a military college. 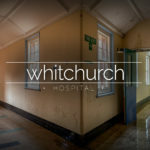 The hospital was used to treat the mentally ill, and electroshock therapy was used extensively here, along with experimental operations on the nervous system. 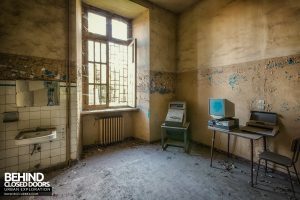 Facilities included a laboratory of clinical research, one of pathology, one radiology, one of electrotherapy and an operating room for intervention to the nervous system. 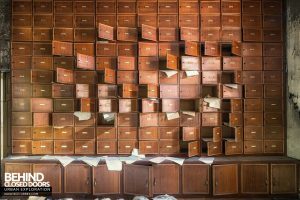 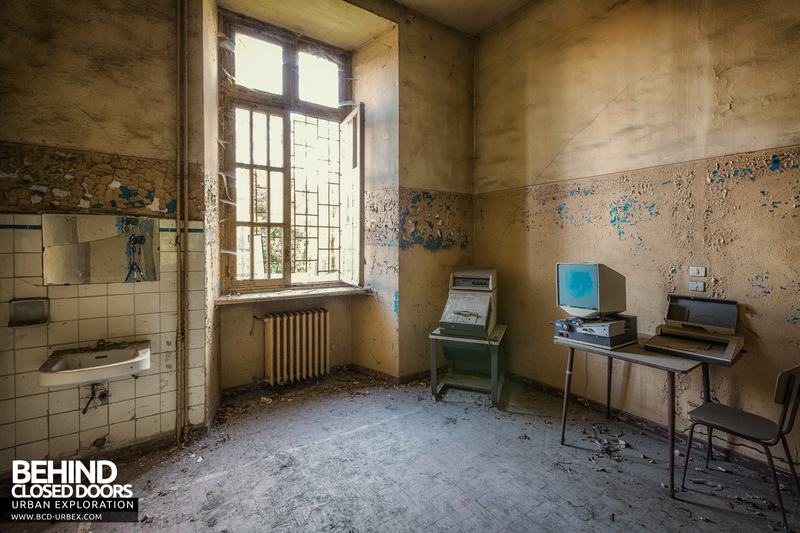 The asylum closed down in the early 1980s and has been abandoned ever since. 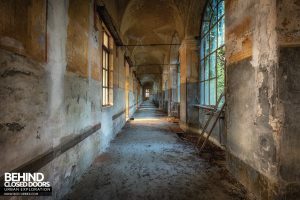 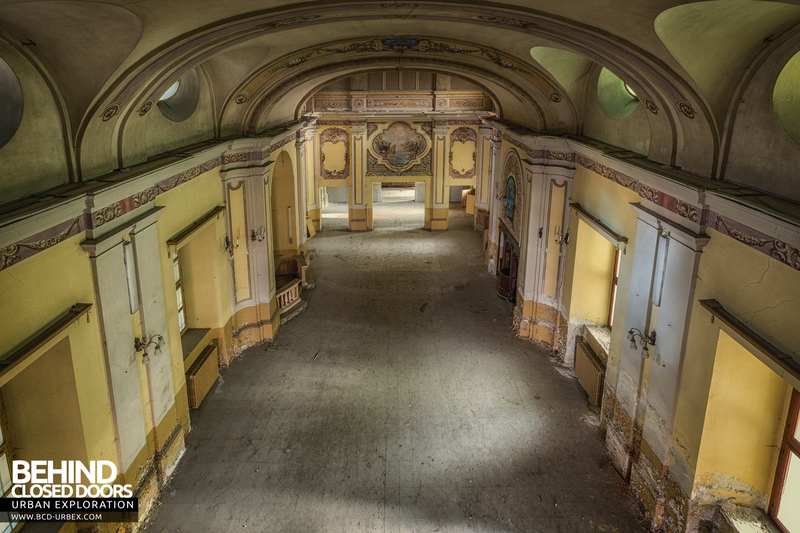 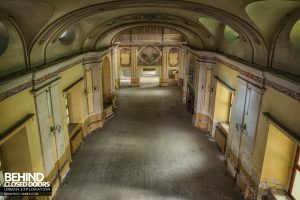 Very little damage has been caused, so natural decay has been allowed to work its magic on the old corridors and rooms resulting in a pleasant glimpse of the Italian past. 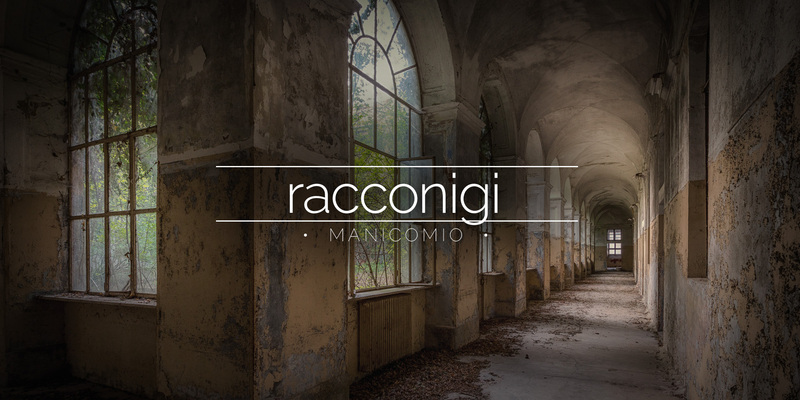 If you liked this report you may want to check out Proj3ct M4yh3m's Manicomio di R report too.